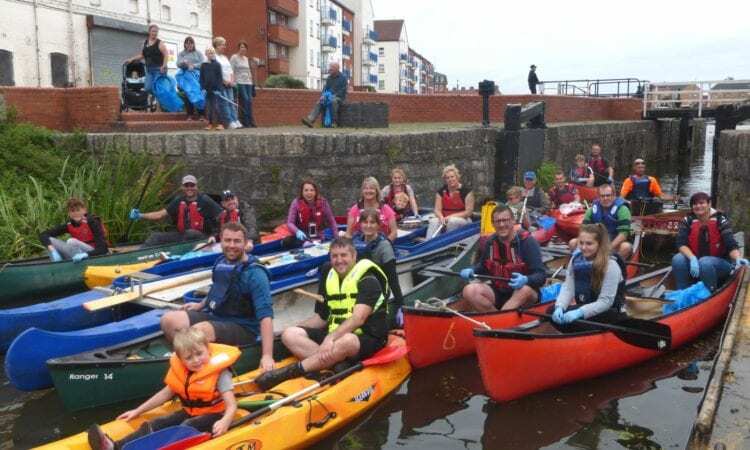 FORTY-EIGHT eco warriors from Bridgwater cleared the equivalent of six shopping trollies full of litter from the town’s canal, dock area and towpath. 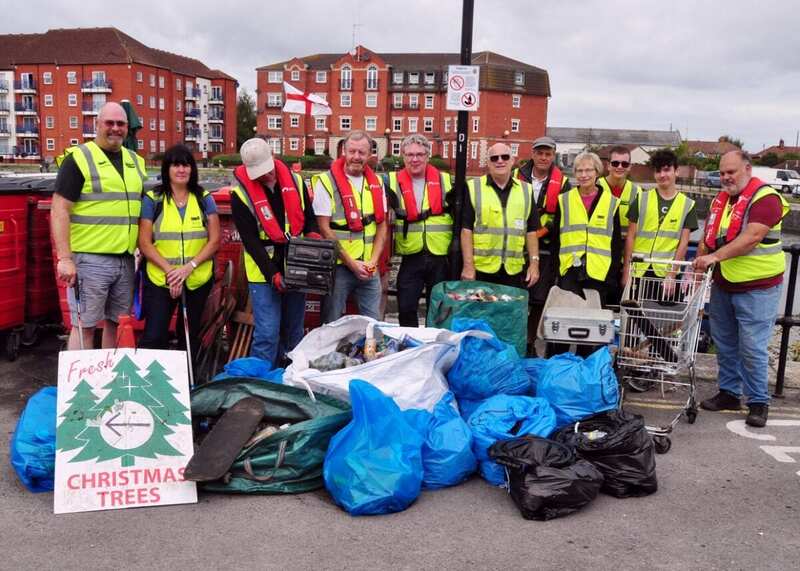 The event was organised by a community action group called Rage Against Rubbish, with the help of the West Country branch of the Inland Waterway Association (IWA), YMCA and Purplespoon Café. Dan Perry from Rage Against Rubbish, which is based in Bridgwater, said: “The event was a huge success. We would like to say a big ‘thank you’ to everyone who came along and helped us haul our biggest load of rubbish. We really appreciate everyone’s help. “This time we managed to pull out of the canal a three-disc hi-fi, skateboard, shopping trolley, a road cone, a scooter, a metal case and the remains of three chairs. Plus, lots of cans and plastic and glass bottles. Rage Against Rubbish was formed by Dan, his eight-year-old son Riley, Damien Vass and Jason Winter, all kayakers who regularly paddle along the Bridgwater & Taunton Canal. 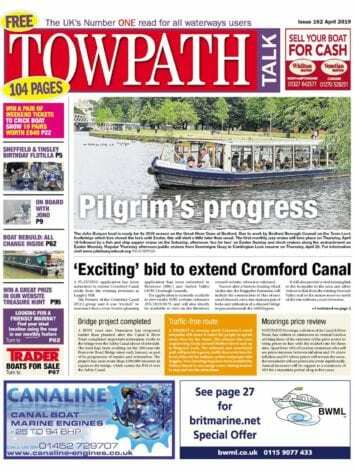 They were fed up with seeing vast amounts of rubbish and discarded items in the waterway. Sarah Johnstone, who works for Porcupine PR in Bridgwater, is the fifth member of the team, who saw the appeal for volunteers on social media and wanted to get involved and now helps with publicity for the group with the support of her employers. The Rage Against Rubbish team organises canal cleaning events once a month along the Bridgwater & Taunton Canal. Dan added: “We wouldn’t be able to host our litter picks without the ongoing support of The West Country Branch of the IWA and the YMCA. The IWA supports us by supplying volunteers and a flat work boat with on-board rubbish storage containers. They also provide us with bag rings, bags and litter pickers. The team then sorts the rubbish and recycles it. “The YMCA George Williams Centre kindly offered us the use of their double kayaks and Canadian canoes and life jackets for people to use free of charge. It is more time consuming to clear litter from the waterway, so it was great this time to have lots of people on the canal. “Purplespoon Café, which is located at YMCA, provided a free tea or filter coffee to all volunteers who attended on the day. This was much needed as it’s thirsty work!